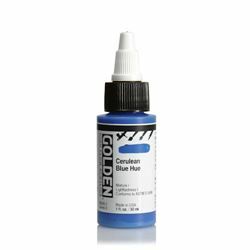 49 colors, including Fluorescent and Iridescent Colors made with the same ingredients of other GOLDEN Artist Colors paint lines. 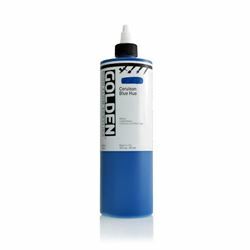 Formulated with 100% acrylic polymer dispersion, resulting in a durable paint layer with excellent water and chemical resistance. 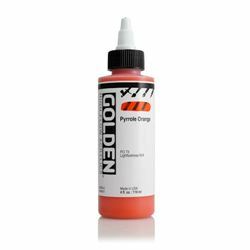 Made with finely ground pigments to reduce clogging issues in small tips and nozzles. Additives such as flow improvers, film levelers and retarders create a very thin and free-flowing paint. 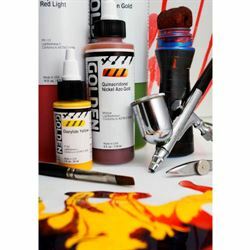 Application use ranges from fine line-work to large passages on a variety of surfaces, such as paper, canvas, panel and other artist supports. Spray Equipment: The thin viscosity allows for spraying straight out of the container without the need for mediums or modifiers. Smaller airbrushes can be sprayed at 25-50 p.s.i. Larger spray equipment should be sprayed in the lower end of the equipment's recommendations to reduce overspray. HVLP Systems may be used with this paint line, although the nozzle sizes should be smaller, such as 1.4mm to avoid over atomization of spray which can result in a rougher, chalky paint surface. Masking & Frisket Use: HFAs have excellent resistance to pull-up when removing frisket or tape. When masking, allow underlying paint layers to dry at least 5 minutes or longer depending on paint thickness and drying conditions. 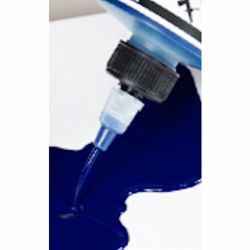 Force-drying when masking should be done very cautiously as it can cause the masking films to bubble, warp, or the adhesives to increase their grab to the paint surface. Use hair driers with low air speed and cool temperature settings. Some low-tack masking films will not adhere sufficiently to the surface of the HFAs. Due to the variety of brands and versions, it is important to test the performance of each frisket and tape to reduce the chance of improper adhesion. Low tack films are prone to lifting during spraying, and high tack films and tapes may pull paint up during removal or repositioning. 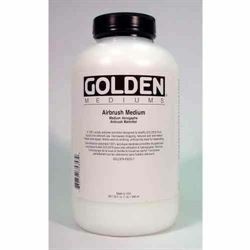 Golden High Flow Acrylic 4 oz.